A small ceremony was held during Nanango’s Australia Day activities on Saturday to officially name the “Les Schloss Meeting Room” at Nanango Showgrounds. The meeting room is located in the former Nanango Hospital Community Health building which was moved to the showgrounds in 2016. It has been named in honour of long-serving Nanango Show Society president Les Schloss, who has overseen extensive improvements to the Showgrounds during his many years at the helm. 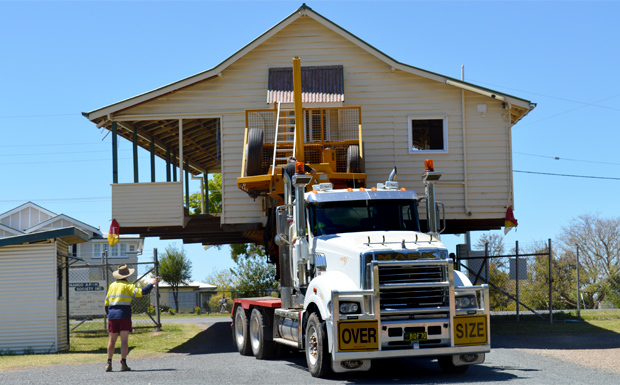 The building – and the smaller Seamstress’ Hut which was also shifted from the hospital grounds – were repaired and repainted by the Nanango Show Society to match other buildings at the showgrounds. New visitors to the facility would find it hard to believe the two buildings have been there for just over two years. South Burnett Mayor Keith Campbell officially declared the “Les Schloss Meeting Room” open. 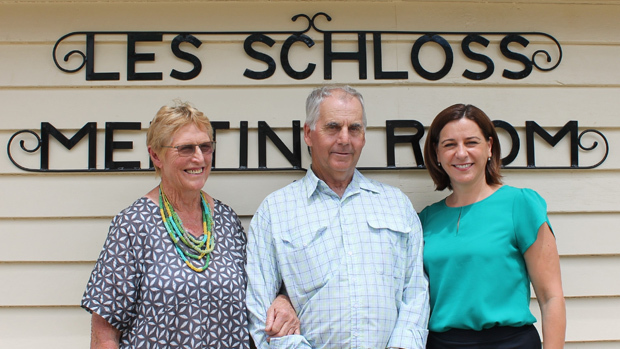 Opposition Leader and Member for Nanango Deb Frecklington congratulated Mr Schloss. “This is a fitting recognition of the many, many years Les has volunteered in the community, in particular with the Show Society,” she said. She also congratulated the Nanango Show Society and Nanango Historical Society for giving a new lease of life to the two two historic buildings. Mrs Frecklington said she had worked with groups during 2016 to secure the two buildings, after they were marked for demolition by Queensland Health. “Ros Gregor from the Historical Society called me when they learnt the buildings were being removed. I agreed with them that it was important to preserve this piece of Nanango’s history and I was pleased to assist,” Mrs Frecklington said.